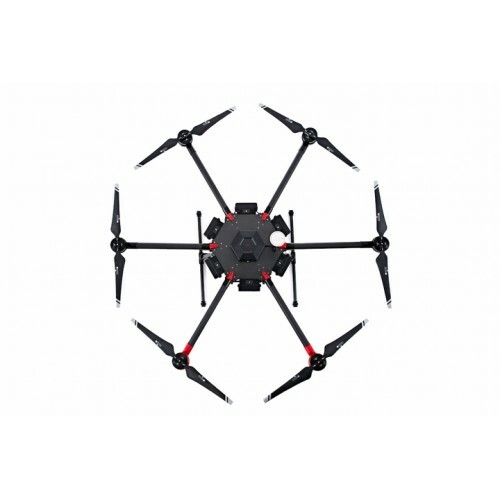 The M600 hexacopter is designed for professional and industrial applications. It has an integrated, modular design that makes it easy to setup in minutes. 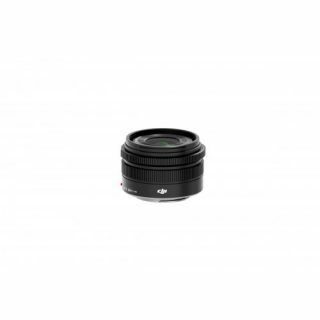 It can carry a variety of cameras, from micro four thirds systems to the RED Epic to suit a wide range of uses. 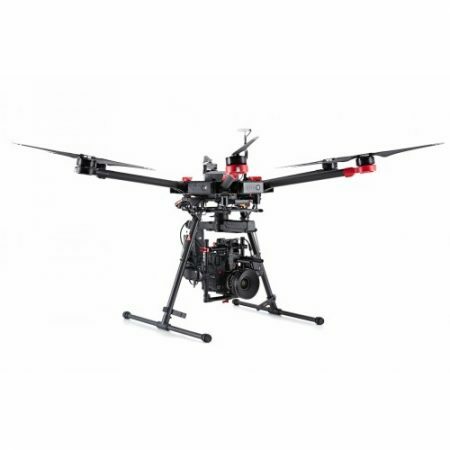 This aerial platform uses the DJI A3 flight controller and the Lightbridge 2 RC and FPV downlink for long range control and video. Every aspect of the design has been intelligently planned to create the ultimate professional system. 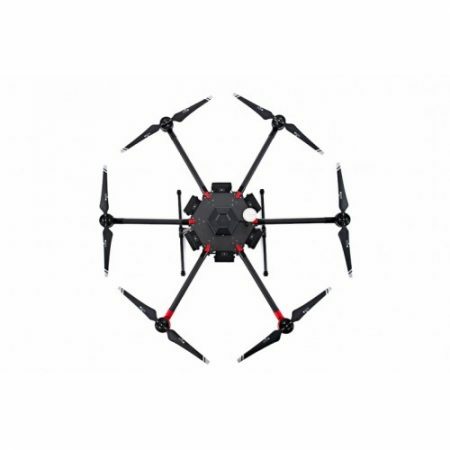 It uses sine-wave driven, intelligent ESCs to make sure performance is accurate, safe and efficient, whilst the DJI A3 flight controller adjusts the flight parameters depending on the payload. The M600 is controlled by the DJI Lightbridge 2 transmission system, which not only provides a long range RC setup, but also a long range HD video link. USB, mini-HDMI and 3G-SDI ports will support video output at up to 1080p/60fps or a broadcast standard output of 720p/69.94 fps and 1090i/50fps. This live video is viewed via the DJI GO app downloaded onto a smart phone or tablet. This view shows you important telemetry information such as battery status, redundancy status, transmission strength etc. 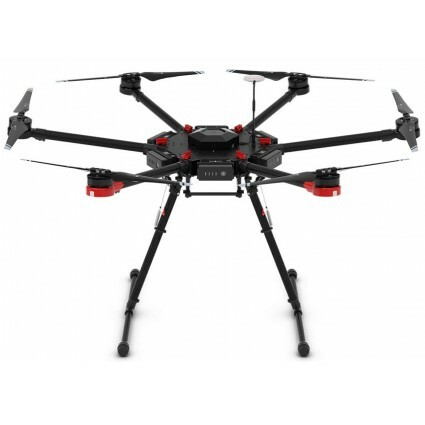 This already advanced system is also open to development by being dully compatible with the DJI Onboard SDK and Mobile SDK, making it suitable for a whole range of requirements for industrial applications. Integrated, Simple, Effective Design – the modular design means that the M600 can be setup in just minutes. It has dust proof propulsion systems, including actively cooled motors, which ensure the maintenance needed to keep it working perfectly is minimal and it can perform reliably even over long periods of time. The M600 can carry a maximum payload of 6kg and will carry not only the full range of Zenmuse cameras and gimbals but the Ronin-MX which is suitable for a range of cameras. 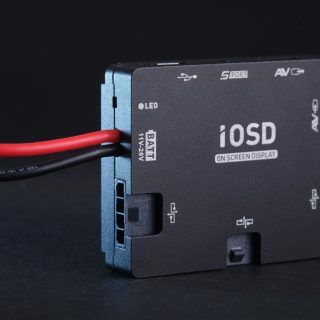 Smart, Safe Flight – intelligent ESCs make certain that the M600 is accurate, safe and efficient and the A3 flight controller adjusts flight parameters automatically depending on what payload is attached. The DJI A3 can be upgraded with two additional GNSS and IMU units to create the A3 Pro which triples the redundancy and diagnostic algorithms to ensure the M600 flies exactly as expected. The A3 can also be upgraded to have centimeter-level accuracy with the D-RTK GNSS system. It uses dua antennas to be more accurate than a compass sensor and it is better at withstanding interference from metal structures. Extended Flight Time and Long Range Transmission – the M600 has a range of up to 5km in unobstructed areas free of any interference. This range is true of both the radio control system and the HD, ultra low-latency video downlink. 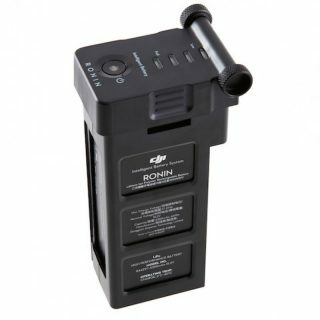 The M600 uses 6 small DJI Intelligent Batteries that allow it to be shipped wherever it is needed without the airline battery power restrictions. The battery management system and power distribution board allows all 6 batteries to be turned on with the press of only one button and the status of all 6 batteries can be checking in real-time during the flight. The M600 will continue to fly if one battery fails. Ultra-low Latency HD Video Transmission – the Lightbridge 2 system has been designed to be suitable for use by professional broadcasters. It offers high frame rates and HD live straming. It has USB, mini-HDMI and 3G-SDI ports that support video output at up to 1080p/60fps or a broadcast standard output of 720p/69.94 fps and 1090i/50fps. 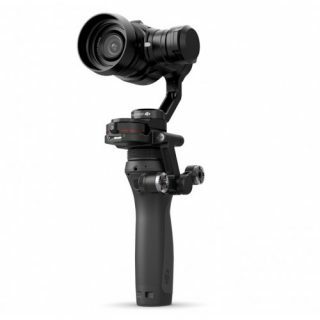 Total Control – the M600 is supported by the DJI GO app and the DJI Assistant 2. The DJI GO app will display important telemetry unformation and gives you access to the camera settings such as ISO, shutter speed, photo or video mode with any Zenmuse X series camera, and remote focus and aperture on the Zenmuse X5 or X5R cameras. The DJI Assistant to simplifies firmware updates, supports the new Ground Station and has a built-in flight simulator. Development Opportunities – the DJI Onboard SDK and Mobile SDK is open to developers to design apps that make the M600 suitable for a range of industrial applications. The dual parallel CAN and API ports are suitable for connecting DJI devices such as the Guidance sense and avoid system, the RTK GNSS units or third party components.